Throughout Christendom, Good Friday worship services take many forms. 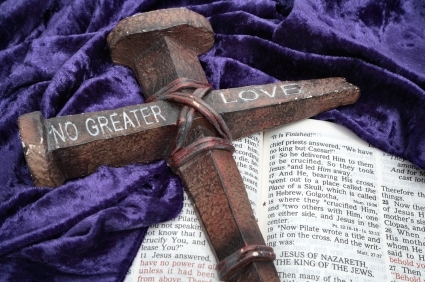 This cultural resource unit is designed to provide congregations with a look at an emerging and dynamic method of celebrating Good Friday. In it we consider more deeply the supportive roles played by the seven women at the cross in Jesus’ final moments. The Lenten season worship service, Seven Women at the Cross, is held during Holy Week at Sisters Chapel on the campus of Spelman College in Atlanta, Georgia. It was designed to elevate women as visible and valuable contributors to, and leaders of, religious life, salvation history, and Christian faith. Seven Women at the Cross, provided an opportunity for seven women preachers to engage and give voice to the seven women whose faith during Jesus’ last seven days of life inspires acts of worship. With full recognition of the tendency in Christian worship to marginalize women and their role as the essential designated witnesses to the crucifixion, burial, and resurrection of Jesus Christ, this worship experience, through the preached word, moves women from the periphery to the center of theological reflection and discourse. Each woman at the cross was shown to have distinguished herself as a servant of God; and to have been a strong and devoted woman who followed Jesus from Galilee to Calvary. Women were also there; women have always been there; and women continue to be present to carry the message of our Christian faith. During this service, seven women preachers open the biblical narrative in creative and authentic ways to highlight the ways in which women cared for Jesus, served the Christian community, and worshiped God. They help reveal the spiritual lessons about the nature and practice of Christian faith as seen through the everyday experiences of our biblical sisters. Their journey with or near Jesus during Holy Week inspires men and women alike toward a renewed sense of spiritual commitment, sacrifice, and worship. Included in this reflection are narratives concerning unnamed women -- the widow who came with her offering, the woman with the alabaster box, and the daughters of Jerusalem. In addition, there are many other women, some of whom were present during the crucifixion, burial and resurrection, including Mary the mother of Jesus, Mary Magdalene, Mary the mother of James and Joses, and Salome. Enduring, determined, persevering, bold and audacious women, waiting, wailing and victorious women, tell their story. Winans, CeCe. Alabaster Box. Brentwood, TN: Sparrow Records, 1999.